This document is meant to be used to get an understanding of the Navigation system for Killing Floor 2. It's meant to give a basic usage guide and explanation of the editor markup that is particular to Navigation. There is also a section that covers unique requirements for the doors (KFDoorActor) in Killing Floor 2. 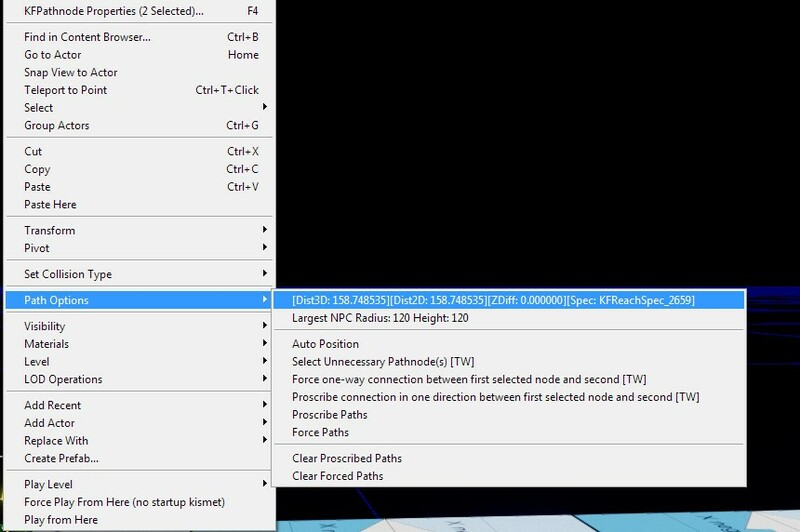 If you select a navigation actor, such as a pathnode, and RMB on it, you will find half way down the context menu “Path Options”, this is a useful tool in measuring connections between two pathnodes, letting you know the maximum NPC size, etc. Below is the explanation of what is what. Doors require very specific paths through the doorway. The KFPathNodes right near the the door have to be fully encased by the KFDoorTrigger on both sides of the doorway. The PathNodes that connect to the KFDoorMarker navigation marker outside the radius of the KFDoorTrigger MUST have it's paths proscribed (Blocked (RED)). So that the engine understands when to revert the collision cylinder of the Zed back to normal. 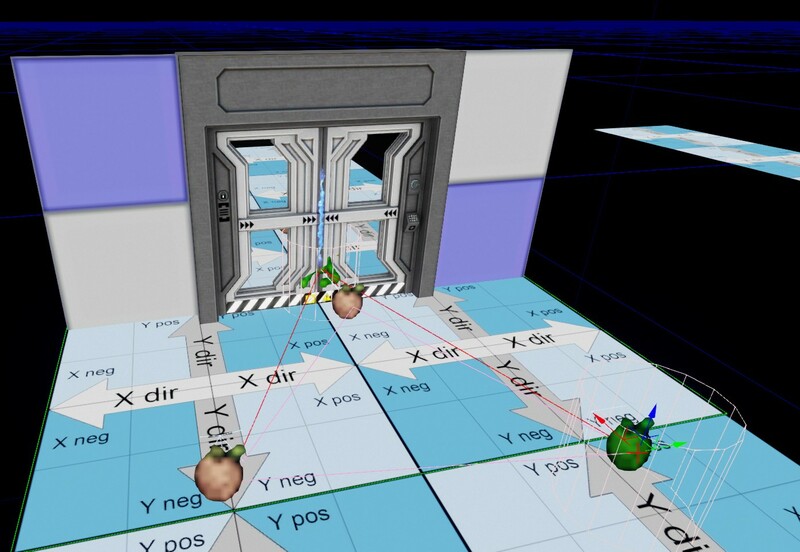 The sequencing of the PathNodes to the the KFDoorMarker is essential to getting Zed to navigate correctly through a door. No other Navigation link can exist that bypasses the KFDoorMarker.